For many, the occasion of Thanksgiving is a time for family reunions, shopping, merrymaking, feasts and family dinner. People take out time to spend special time to meet near and dear ones and thank them for their kindness. Every year, people all across the world celebrate Thanksgiving Day. Originated as the festival of harvest, on this day people thank the almighty for his grace and blessing and the bountiful harvest received the preceding year. The day on which this occasion is commemorated varies in different countries. For Canada it is the second Monday of October and for United States it is the fourth Thursday of November. Other countries like Australia, Grenada, The Netherlands and India also join in the celebration. This year, the Thanksgiving day will fall on November 23, one day prior to Black Friday, as per the US celebration date. Though the occasion of Thanksgiving has historical roots, it is more or less celebrated as a secular festival. It is believed to have its origins in the English tradition. 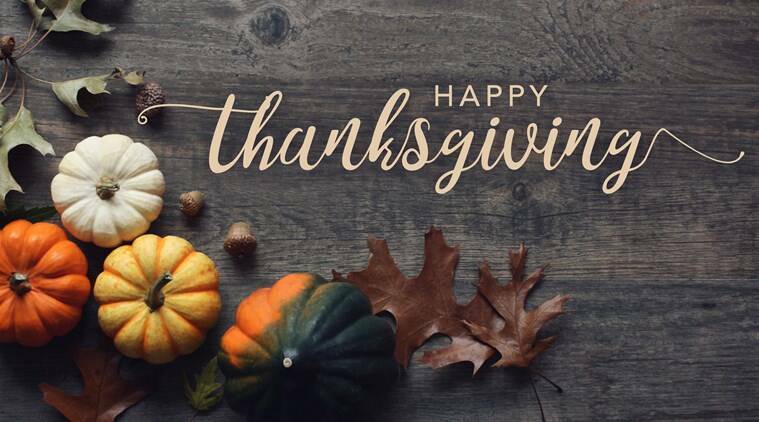 During the English Reformation, which was ruled by Henry VIII, the days of thanksgiving and special thanksgiving religious services gained importance. Before 1536, there were 95 Church holidays, plus 52 Sundays, when people were required to attend church and forego work and sometimes pay for expensive celebrations. However, later Church holidays were reduced to 27 and were replaced by Days of Fasting or Days of Thanksgiving. Interestingly, there is another story which goes back to 1620. It is believed that Pilgrims reached American soil and settled in an area they called Plymouth, now Boston. However, being immigrants they were unaware of the upcoming harsh winters they were going to face. Due to that, the food was low and it was a difficult winter for them. Soon after, during the Spring season the Pilgrims came out to plant and grow crops, where they were helped by a native American named Squanto. With their new found skills and planting techniques they were able to prepare themselves for the next winter and to thank the American they threw a huge harvest feast for him. It is then that the custom of Thanksgiving began. Thanksgiving Day is celebrated with delicious food and wine. A usual Thanksgiving menu consists of roast turkey, roasted sweet potato casserole and winter vegetables. The dessert usually consists of a pumpkin pie with a walnut crust. Every year, the President of the USA, chooses one turkey, which becomes the national Thanksgiving bird and is spared from execution. An annual Thanksgiving Day parade also takes place in the New York City. While Thanksgiving day is celebrated in Goa, it is known with a different name; Ladin’ or ‘Ladainha, which means a litany to the Virgin Mary. On this day, people thank God for all materiel and spiritual benefits. Every year the function is sponsored by different individuals. Christians start preparing for the occasion by buying wheat and gram, candles, wine and coloured tinsel paper. 1 When is Gurpurab in 2017? 3 When is Halloween 2017?